You Never Know – An ongoing compilation of the things I didn't know that I didn't know. An ongoing compilation of the things I didn't know that I didn't know. After the school days, I commonly come home and spend about an hour of quiet time in my favorite reading chair. I sit and try to not think about my day, or my ever-growing To Do List, usually while scrolling through social media. I like to think of myself as a silent social media observer. I do not post on Facebook often, but find myself on it looking at what others have posted multiple times a day. A couple of weeks ago I came across this image: I was completely intrigued. While it is easy to understand that bunnies and chicks and eggs don’t seem to have anything to do with the resurrection of Jesus, I had never heard of this goddess as a reason for these symbols. In fact, I had never heard of Ishtar at all. Sooooooo… I began my research! This goddess inhabits both masculine and feminine qualities; the masculine side of this goddess shows itself in her warrior persona, and the feminine is displayed in poems of her love and lust. This divide causes Ishtar to be portrayed as both a coy young girl and a femme fatale. But… After reading all of this… I don’t know how the discussion of Ishtar in relevance to Easter came to be. After all, if Ishtar- the patron goddess of prostitution(Ancient Mesopotamian Gods and Goddesses) is being referenced on this day that is so sacred to Christians there had to have been a good connection. But as I read, I saw no discussion of eggs, no discussion of bunnies, and not talk about Constantine. And then I found this blog and it all made sense. There was confusion between the Sumerian Ishtar, and the Eostre- a GERMANIC goddess! Sometimes researchers get their mind blown by accident. Sometimes these inquiries take an odd turn, and THAT IS OKAY! I learned about not one goddess on this inquiry adventure today, but TWO! How neat! Thanks for stomping out ignorance with me! Last week in my yoga class, I got injured. I tried to play it off, and not draw attention to the fact that my left hand was experiencing some sort of nerve or tendon pinch. With every vinyasa, I winced because I was unable to put the necessary weight on my hand. After about the fifth vinyasa of teeth clenching my teacher caught on. After she voiced her concern, and I explained what I was feeling she said, “You’re such a vata”. I nodded, and smiled because I had no idea what she was talking about- luckily she caught on and explained a bit further. She explained that vata is one of three doshas (energies) that the body can be. Since I am so focused on my pose form and pushing through the pain, my instructor said that she could sense that I had a lot of vata energy. I once again smiled and nodded because I had never even heard of doshas, or Ayurveda for that matter. So- I went home and explored. First, what I found is that to determine what your primary dosha is, you can take a short quiz. (I took mine here). The quiz asks questions about body type and condition. It asked questions like, “Is your hair rough, smooth, or neither”. After answering all of the questions the quiz identified me as a Pitta (primary) and a Vata (secondary). At this point, I was still completely unaware what all of this meant, so I furthered my research by asking these 4 questions (things that I DIDN’T KNOW that I DIDN’T KNOW). What is Ayurveda? According to Nadya Andreeva, a certified wellness coach from mindbodygreen.com, Ayurveda is a “holistic science of health”. She explains that the idea of this science, or knowledge of life dates back over 5,000 years to when “Indian monks were looking for new ways to be healthy. Revering their bodies like temples, the monks believed that preserving their health would help them meditate and develop spiritually” (Andreeva). Ayurveda is similar to the Chinese tradition of chi but is based in India. Lisa Munger, who also writes for mindbodygreen.com explains that, “Ayurveda categorizes everything–our minds, bodies, interactions, the natural world, food, energy–as comprised of a mix of five basic elements. Earth, water, fire, air, and space (sometimes called ether).” These basic elements are divided among the 3 principals-or doshas. What does it mean to be a Pitta-Vata dosha? When I took the test, it classified me as a Pitta-Vata, meaning that I have an increased level of both of those energies. Being a Pitta, the primary element in my body is the element of Fire. I commonly am warm, sweaty, or oily. The Pitta in anybody both heats the body and aids the breakdown of complex foods. Pitta also “governs all processes related to conversion and transformation in both the mind and body”. So, physically I am warm, but psychologically Pitta also is firey. Emotions change quickly, and much like a spark can lead to forest fire, moods can escalate. The VATA portion of my being is fueled by the element of Wind. “Just as the wind is balanced provides movement and expression to the natural world, the balanced vata individual is active, creative, and gifted with a natural ability to communicate.” (eathealtaste.com). The physical qualities of vata are dry, rough skin, subtle, etc. Since I am both of these qualities, I see them expressed in different facets of my life and body. For instance, the Pitta part of me makes me always sweaty, but the Vata part means that even though I am most commonly cold, I am still clamy or sweaty. The Vata portion of my personality governs my anxieties and the Pitta governs the way that I express them. What do I do with this information now? Since learning about my doshas I will be able to not only eat according to what aligns with the doshas, but also act and communicate better. I have learned so much more than I have shared here. But I will leave you with this much. I am being opened up in many ways lately, and the results are amazing. Heres to stomping out ignorance! 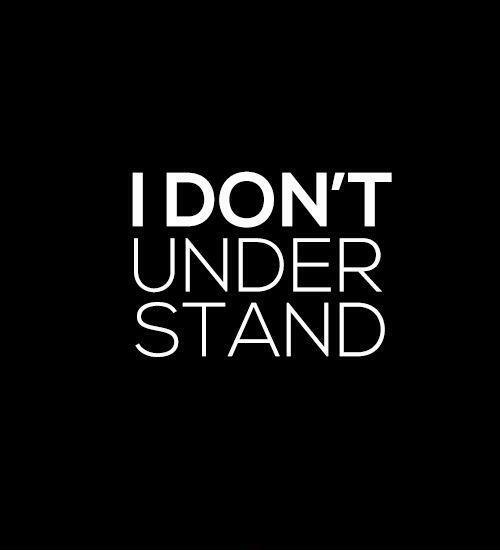 I have lived my life, for the past 27 years, accepting that there are things that I do not, and will not understand. While I can read and read and read a myriad of topics and research based on my own questioning, I will never understand certain things. Prior to this week I had a draft all typed up and ready to post. It was about the color purple, and what I have learned about humans perception of color (it’s really interesting, but you will have to wait for that one). But, I can’t help but think that it is my duty to be honest on this platform. And, honestly- what’s on my mind, and what I learned is much bigger than the color purple. When I turn on the news lately, I expect to hear of tragedy. Unfortunately the news is always full of murder, wreckage, and trauma. When I turned on the news to see the tragedy that happened at Marjory Stoneman Douglass High School I was angry. I am still angry. I am angry that students keep dying. I am angry that politicians are quantifying death, and using the lives lost as a commentary of what teachers are responsible for. But, mostly, I am angry that I have to choose who I speak to about this anger. Because what I didn’t know that I didn’t know is that this tragedy is making people who have little to no experience in the classroom experts on what goes on there. I have strangers, and friends on social media that are spewing opinions about what I need to do in the situation of an active shooter. People trying to arm me. Trying to make my classroom akin to a gun cabinet. And I didn’t know that it would hurt so much. As a teacher we focus our every breath on helping and growing the children that we see everyday. We make their well being our daily bread, and their growth as humans the butter. My students are my life, and I am sick of seeing them afraid. This week has made me realize that the people who are saying these things are just as ignorant, scared, and mad as I am. I realize that the reason everyone is arguing is because we are all feeling similar things and none of us know the answer- and that is scary. I didn’t know that I didn’t know how hard being a teacher would be. I didn’t know that I still don’t know how to speak to my students about tragedy. I didn’t know that I don’t know how to make this type of school violence stop happening. And most importantly- I didn’t know that I don’t know how to understand the people who are hurting our kids. Learning new things is fun, and understanding is exciting. But realizing that you may never understand is terrifying. Now that the introduction is out of the way, I can finally get into the magic of this blog. What will be a bit more fun or interesting about the actual blogging part is the story that will always preface the realization of ignorance. Which leads me to the end of our conversation. After discussing the body, hormones, moods, depression, etc we moved onto the topic of depression in athletes. 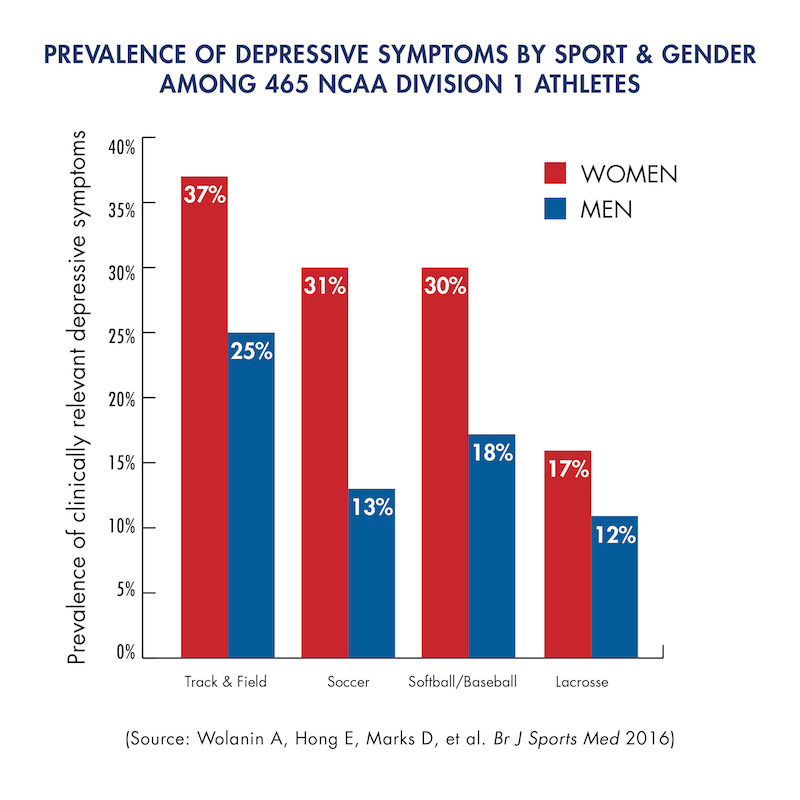 Is there a link between former athletes and depression, and is this link due to the change in endorphin levels once the athlete ends training. A PhD student studying sports psychology noted that, “Athletes have had regular doses of serotonin daily for many years, when this is suddenly decreased or stopped outright, we see a huge upset to the chemistry of the body”(Vickers). She also explained that, “A causal link between an imbalance in serotonin levels and depression has been explored by a number of researchers, however, more research in retired athletes posits exploration”(Vickers). Which plays into my initial thoughts about the link between retired athletes and depression. When the body is use to elevated serotonin levels from exercise or training, when that training stops, and the serotonin levels drop, the athlete- I would assume- would feel a bit of an unpleasant detox. Also interesting is that, “regular exercise is known to release feelgood chemicals such as neurotransmitters and endorphins which help reduce depression and anxiety. At the same time, stress in itself produces hormones which can lead to chemical imbalances with too little serotonin in the brain.”(Ellis). It is also interesting that author Alfie Potts Harmer reported that athletes have among the highest rates of mental illness with as many as 25% experiencing depression. While this percentage is of all athletes, and not just retired athletes, this large percentage is definitely worth mentioning. Something baffling that I found in my own research was that, “Research has revealed that when participation in sport stops, either temporarily or permanently, professional and elite-level athletes can experience the same psychological stages as people grieving the loss of a loved one. These are, typically: shock or denial, despair, anger, depression, pre-occupation, re-organisation, and finally acceptance”(Louise Ellis). This kind of plays both along with and against the idea of retired athletes biologically having different hormone levels and therefore feeling depressed. Athletes are both emotionally involved, as well as physically involved with the sport to the effects can be assumed to be both emotional and physical as well. I have turned the idea of a new blog over and over in my brain for months, and talked myself out of every idea or inspiration for it’s contents -until I was assigned a blog. I could blog about anything I want, about anything I desire- personal, professional, or passionate. With this assignment I was no longer allowed to talk myself out of writing- it was expected. I went through my list of possible topics that have accumulated over the course of the last few years and gave each a fighting chance, before settling here, on an inquiry based blog. This image confused many of my classmates, and scared a few, but it excited me. The professor started with the green. She explained that this pie piece is representative of the things that each of us know, without a doubt. We know our names, we know how to read, we know where we live. But it is also full of all of the things we have learned. For some, this green portion is filled with formulas, or scientific facts. For me, this is literary criticisms, favorite poems, names of authors, genres, etc. Simply speaking green represents everything we have every learned and still know. The blue, which is slightly larger than the green, represents everything that we are aware that we don’t know. For instance, I am aware that I don’t know how to solve advanced mathematics questions, or how to operate on a human body. I KNOW that I don’t know how to play lacrosse (or most sports for that matter). These pie pieces represents all of the ways in which people are capable of growth with inquiry. The RED is the most exciting portion of this pie. 3/4 of this graph represents all of the things in this world that we have no idea that we don’t know. These are things that are taught by experiences we have never had, or people that we have never met, or simply questions we have never asked or been asked. The red is the purpose for this blog. Every day I get asked questions from students or peers that fall into each of these categories. Students ask, “What is a hyperbole,” and I can answer quickly because that is something that I know that I know. Students ask, “when did the Special Olympics start?” and I know that I don’t have the correct answer on hand. (Though I immediately researched it- 1960’s). But at least once a week, if not once a day, someone asks me a question that falls in the red- for instance “Ms. Simmons, I know that we use salt to melt ice, but does salt, itself, melt?” I had never in my life wondered that or thought about the properties of salt, until that moment. I had no idea that I didn’t know. In moments like these I am going to start learning. Questions in the red allow for growth and understanding about portions of our world about which I am otherwise ignorant. My goal is to no longer accept my own ignorance, but to use it to better my self and to broaden my world. Hi, I'm Cara the queen of inquiry. I am a teacher of 7th and 8th grade English in a small town, and a mother of one precious puppy. In our free time Jude (puppy) and I listen to music, read books, and do yoga.